Now we’ve light and shadow in the scene and this means there’s nothing to improve, isn’t it? Not quite. The problem is that further improvements are more subtle but still add a lot to the quality. What I want to state is, that it’s often hard to say WHY something looks good or does not. 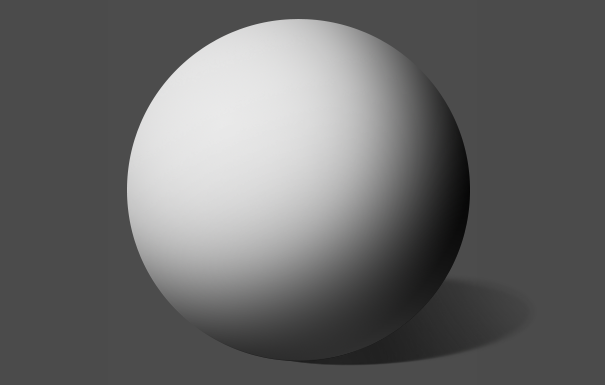 Often you achieve big difference even if the tweaks itself are less remarkable than going from no-shadow to sphere-with-shadow. Additionally many of these elements are hard to spot but easy to miss – if you don’t know about them already. One way of getting the details right is using references (I described one method here). But today I wanna talk about a situation where I did not get it right even WITH references. Just by counting the fact, this is a perfect spiderweb, right? It has the structure of a spiderweb, the strings “hang” really nice, the color isn’t out of place … so why did I think that it could be improved (but of course had no idea how)? Scale: It looks like a tiny web which was scaled up a lot. Even by supposing it was built by a HUGE spider it could be expected to have a different and more detailed structure. 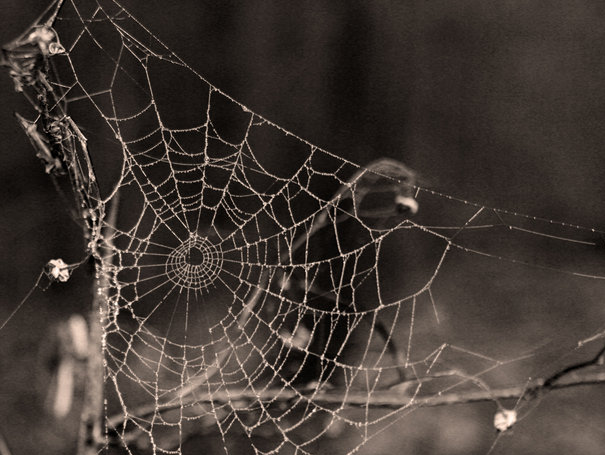 Softness: Diablo and Batman use soft-alpha (see below) to make their webs vail-like while the Sacred web is pretty harsh. Movement: The slow and wavy movement in the web of the Batman game adds the final touch. Now we know what we want to achieve which is a very important goal. But especially for us game developers it’s difficult because even if we know what we need, the technology must be capable of simulating or at least faking it (e.g. global illumination, reflections, translucency …) – and we’ve to be aware of which technique is best suited for what we want to achieve. 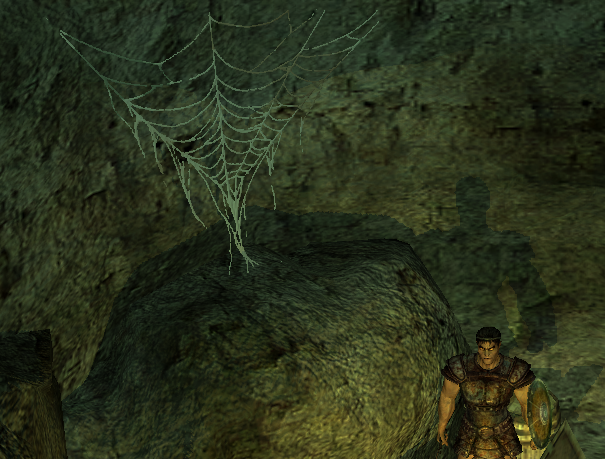 I can’t remember why but for some reason we used a “hard” alpha-channel (alpha1, alphaTest) for the spiderwebs in Sacred 2 which didn’t allow smooth transparencies. 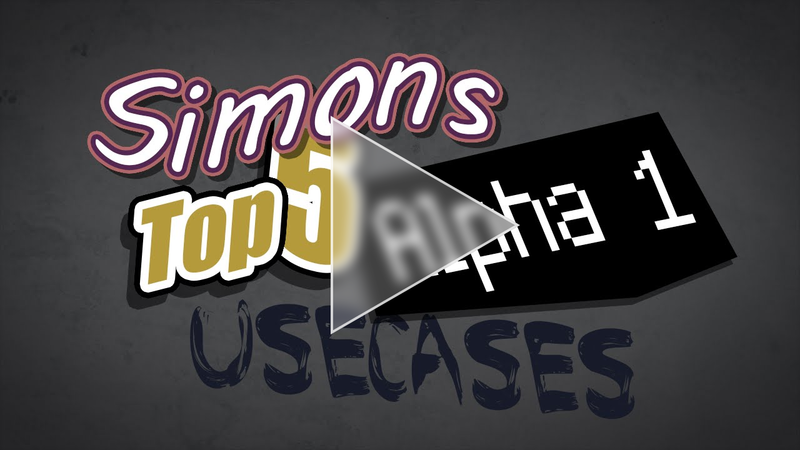 But to be honest, back in the days I didn’t even think about suggesting a soft-alpha/alpha8. I just didn’t have the eye for seeing what’s missing, for knowing what technology would be necessary and I didn’t make a step back (and searched longer for references showing spiderwebs from a certain distance) to see that there’s something wrong with the scale. It wasn’t really a “trick” but I hope you liked it anyway. :) Maybe you’ll find it useful if you have to do spiderwebs in the future or you can understand/appreciate the problems we artists sometimes have. This entry was posted in Game Art Tricks on 14. January 2016 by Simon. Perhaps not a “real trick”, but, especially for a “not a real artist” like myself, this sort of insight is invaluable! I think that the technique of “stepping back for better perspective” is one of the most important skills for any creative – be they artist or developer. And yet it can be very difficult one to apply in practice. So often the time when we need to step back for a wider look to solve our problem is exactly when we’re so consumed with focus that we don’t even think to do so. Happy to hear that you find it useful! :) Oh yes you’re right. Maybe it’s not the hard thing to step back but to know WHEN you have to step back. :D Did you watch the movie oder read the article? I *really* appreciate having both options! For most things, I prefer reading, as I can move forward quickly, go back and review, etc. Plus, I often read in situations where watching a video would be inappropriate. That said, I’ve been trying to use more videos for learning art skills. Your blog is a huge inspiration and help for my bachelor thesis game! Happy that it helps :) What is your bachelor about? I’m studying mediadesign in Hanover and I’m making a prototype for a 3rd person tower defense game. I’ll send you a link when i’m done if you like. Fun article, thank you. 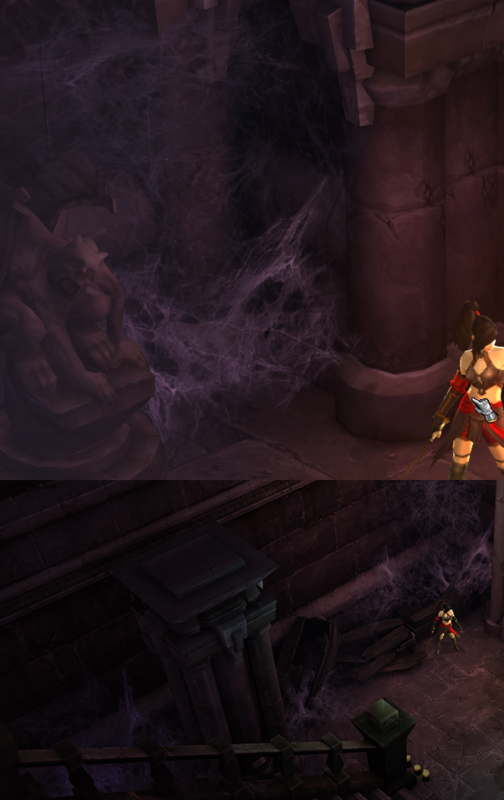 I remember that area in Diablo 3 and just how amazingly volumetric (?) the spider webs were. I wasn’t sure what to expect. I mean – spider webs? But after watching I was surprised again by how you manege to give us, the viewers, insides in to the artistic side of games.